The B.534 featured a fixed undercarriage and biplane wings. 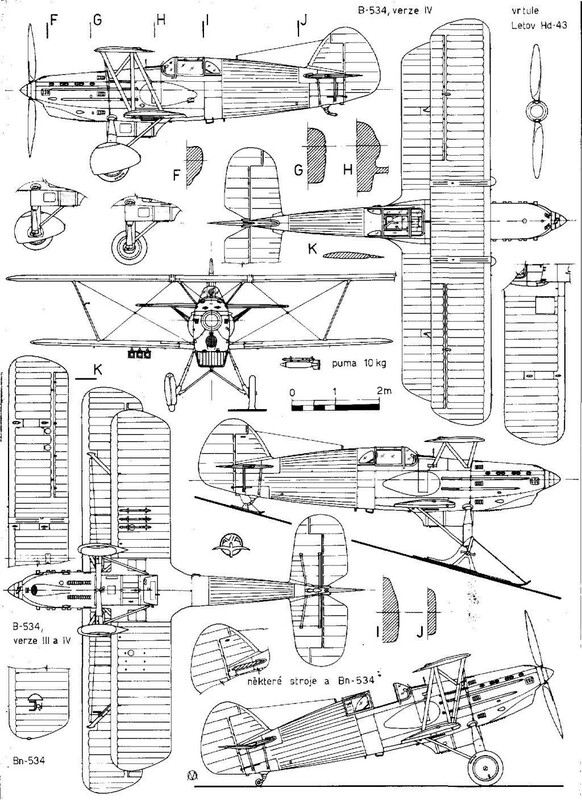 Fuselage construction of the Avia B.534 was a mix of fabric-covered steel-structured wing assemblies. Armament was two or four 7.7mm synchronized machine guns and six 44lb bombs. Only some machines of the Nos I-II batches had a cockpit canopy. The B-534 prototype was flight-tested in August 1933. Because all three Aeroplane Works within a range of German bombers were, a new plant was built at the village of Kunovice in South Moravia. B-534s were turned out there in 1937. The operational flight ceiling was over 30,000 ft.
for use of a Letov-made metal propeller. The Nos I-II batches being built from Feb 1935 were equipped by wooden propellers, the Nos III-IV batches with composite ones. Two machine guns were typical for the first 100, in the lower wing they were mounted into both sides of the fuselage. The No IV batch cockpit was covered by a canopy and hooded wheels. Aircraft of all the batches were equipped by racks for small splinter bombs. The 190th production B-534 fighter was the fourth one armed by four machine guns. In addition to two side-fuselage-mounted machine guns, the Bk-534 was armed also by a HS No 402 via propeller-axle shooting canon. 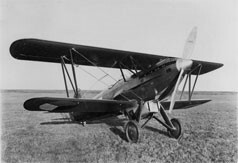 The B-534 turned out from 1936 were of higher empty as well as take-off weight, top speed, service ceiling and climb up to 5000 m.
Avia B.534's would eventually see combat against the invading German forces, for the conquering German forces against the Soviet Union and ultimately phased out of service after completing several, less note-worthy, roles. 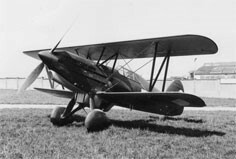 The Czechoslovakian Avia B.534 series of biplane was highly regarded. Such was the performance of the machine that the German Luftwaffe would briefly setup a fighter squadron utilizing captured B.534 aircraft. A total of 445 were built. Take off weight: 1913 kg Armament: two machine guns. Engine: 1 x Hispano-Suiza HS 12Ydrs, 850hp.